I swear by denim. I live in denim, i love it so much that I can’t find any better solution for the fall wardrobe than denim. Here is my pick for early fall in city, the ultimate city chic urban etc look. It consists of light wash denim jean with ripped destruction, denim shirt and a jacket. There is nothing special so far. Let’s take it to another height. Combine it with combat booties, or peep toe heeled booties. The result is striking, sassy and casual at the same time. 1. 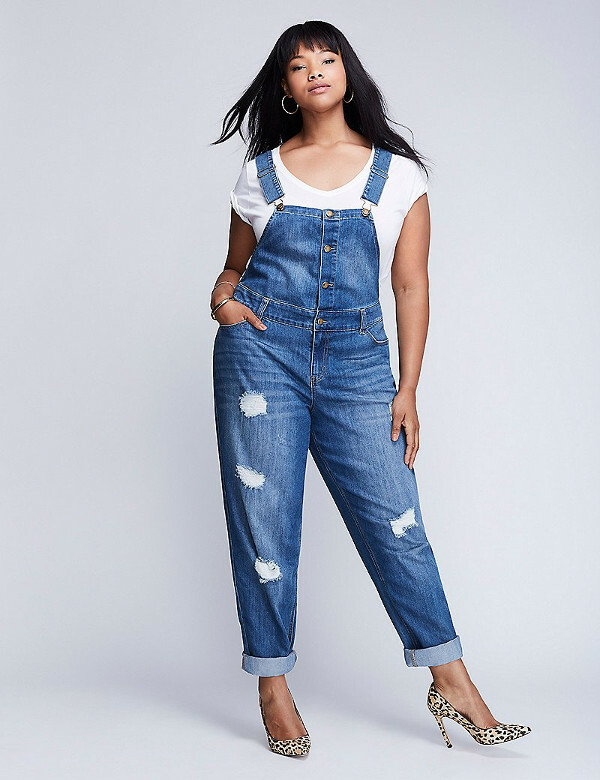 Torrid Girlfriend’s light wash jeans this light-than-light wash denim is a feminine take on our Boyfriend fit, but with a higher rise and a slim, tapered leg that’s ever-so-slightly cropped. Unrolled at the hem, rips down the leg. 2. Hooded Anorak Jacket. Casual linen like anorak jacket with an adjustable hood. The army green style makes it suitable for everyday wear. It also has button tab sleeves and snap pockets. An adjustable drawstring waist flatters this draped style in a cinch. 3. Light Wash Denim Shirt A light hand-sanded wash gives it a lived-in feel. It’s the perfect-for-layering number that your closet can’t do without. This striped knit sweater is the perfect piece to pair with jeans for a cool weekend look. 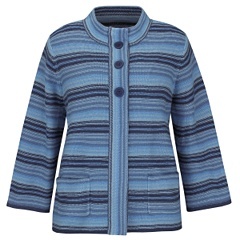 3-button front. Funnel neck. Front pockets.Knit.